Today’s cards are christmas tree cards! These cards are made with cute tree stamps from Papertrey ink. but I don’t have it so I cut them out by myself and stitched them. these cards are made with a tree die which is from also Papertrey ink. The patterned papers that I used are from crate paper. The patterns of the paper pads are so adorable.I love them. For this tree, I put heart tag. For this tree, I put stickles from Ranger for each ornament in the tree. I use the stickles all the time! I feel it makes cards alive when I use it. I hope you are having great weekend. 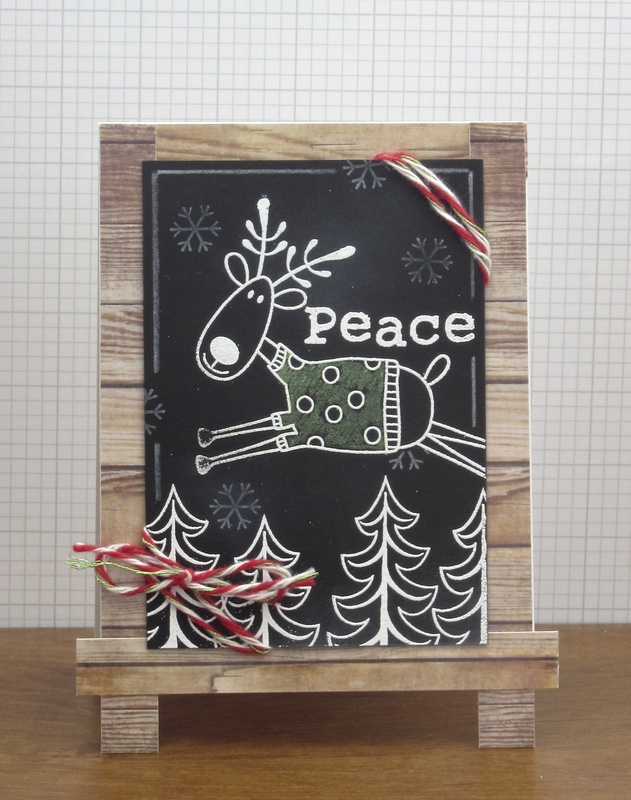 Today,I’m sharing a simple card with my favorite Papertrey ink poinsettia stamp. I also made a same card with red strips that I punched with Martha Stewart Crafts punch. I don’t have the dies that coordinate with the poinsettia stamp set so I cut them out by myself. I love the words, too! and circle die is from spellbinders. and today I’m sharing a card that I made with the same stamp. and did same with Fired Brick distress ink on the cream card stock. and inked edge of the paper with Fired Brick distress ink. I added flourishes and more little snowflakes and put the label of vellum that has sentiment at last. The inks that I used for except poinsettia are from Papertrey ink. There are some more Christmas cards to show you. This card has a Christmas tree in the center. The tree and the sentiment is from Papertrey ink, and the dies that I used for them are from SIZZIX. This Christmas tree is soooo cute! And, this card has a ornament in the center. The light blue color is too light so that it’s a little hard to see. The patterned papers that I used are from Recollections. We just sent Christmas presents to our families and finally I can feel released! But I still have a lot to do this week..! I hope I can do everything that I have to do before Christmas. today’s cards are made with cute penguin stamps. They are from Papertrey ink. and put the ‘merry’ back and stitched it. The ‘Christmas’ sentiment is from Hero Arts. The next card is with two penguins. The patterned paper that I used are from Recollections, AMERICAN CRAFTS, and Pebbles. Today, I’m sharing simple cards with snowflakes. 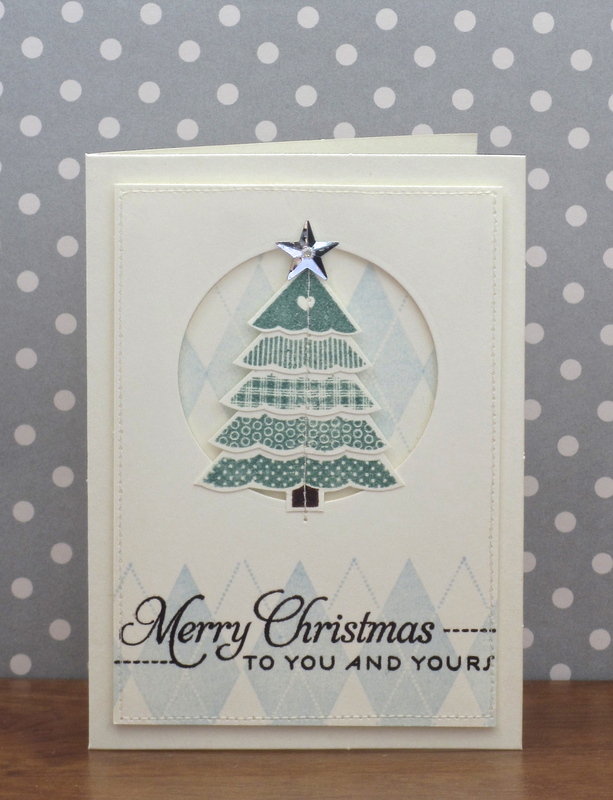 The die I used are Papertrey ink’s which matches with Snowflake Medley Stamp Set. The patterned paper is from Recollections. Here is one more card with another patterned paper. The patterned paper that I used for this card is from making memories. The sentiment is stamped with Papertrey ink stamp. you have seen this adorable rain deer somewhere. These cards that I’m sharing today are made with a chalkboard technique. and I stamped snowflakes with fresh snow (Papertrey ink). It’s very fun to create a world with stamps!